OH HEY! I'm crazy excited to have another sweepstakes for my Project Life and Amy Tangerine fans. I can't even begin to tell you how much I LOVE this Plus One collection from Amy Tan and Kal Barteski. I'm pretty sure it's my favorite ever! It's also a favorite for many others as it's been hard to get and sells out as soon as it's in stock everywhere. I can see why it's a favorite for so many scrapbookers and Project Lifers. 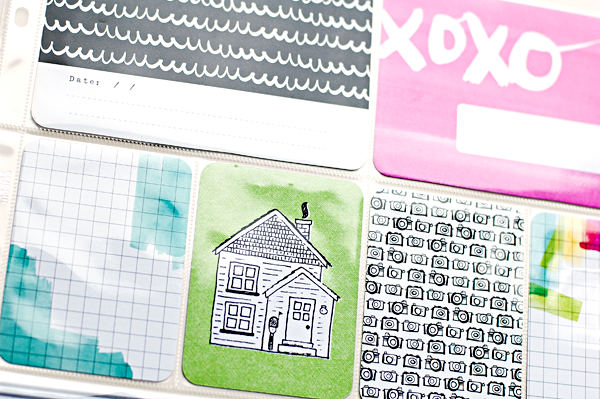 The cards are versatile and a fun neutral color scheme. I love the black and white with the pops of bright color. I love the touches of brush script and icons. I also love how it's a versatile theme for everyone with everyday prompts on some of them. 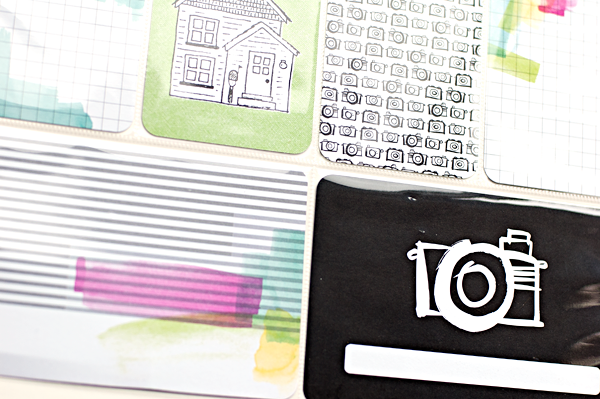 It's perfect for the "everyday storyteller", the weekly Project Lifer and any scrapbooking needs. 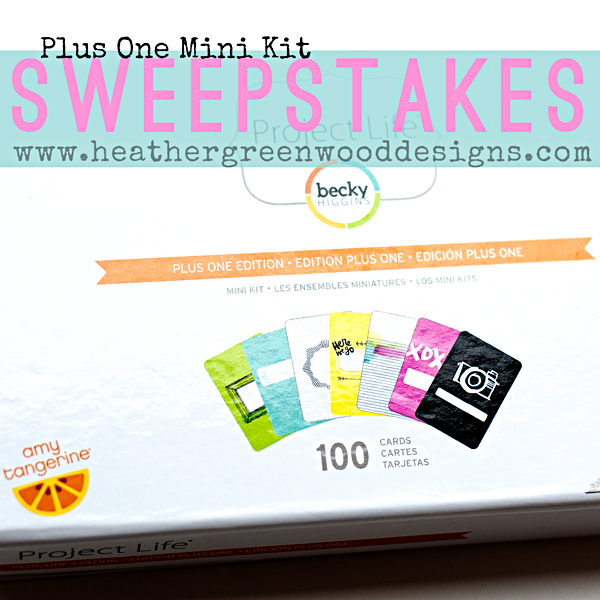 I was finally able to get my hands on a Plus One Project Life mini kit for myself and my dear friend Carolee donated one Plus One mini kit to give away on the blog. Isn't that awesome and sweet of her? I'm very thankful for her generosity and desire to see this blog grow and reach more scrapbookers and mixed media artists with inspiration and tutorials. SWEEPSTAKES entries end SATURDAY, APRIL 26, 2014 at 12:00AM EST, after it's over, I will have Rafflecopter choose a winner and verify the entry. I will announce the winner on my blog shortly afterwards and send a message to the winner asking for mailing information. I will send the package within one week of receiving that information. If I don't hear back from the winner in 48 hours, I will have Rafflecopter choose a new winner who will have 48 hours to reply. SHIPPING DISCLAIMER: I will have a receipt or tracking number to show that the package was sent. However, I will not be responsible for lost or damaged mail once they are out of my hands, but I will do my best to track them as much as I can.